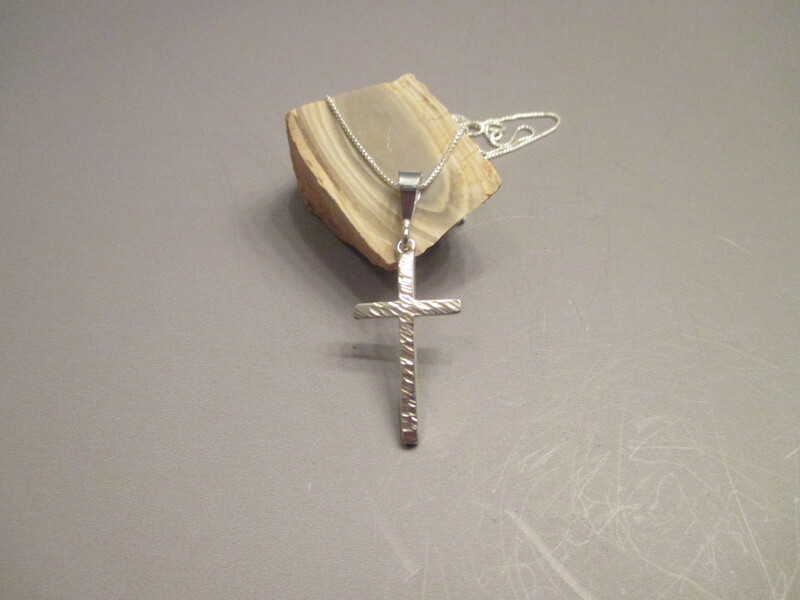 This beautiful cross necklace has a hammered design. The cross , bail and chain are all .925 Sterling Silver. The pendant measures about 1 3/4" long and 3/4" wide. It will come on an 18" Sterling Silver rounded box chain. Other lengths are available in other styles of chains.